Now's the time of plenty if you dig on spritely hatches. We threw two of our favorites in a room, broke a pool cue in half and told them the survivor gets to haul our groceries home. 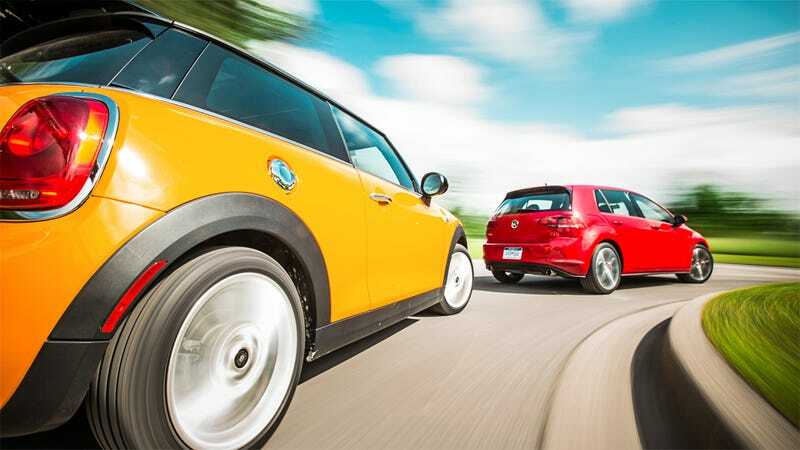 No, the Mini Cooper S and Volkswagen GTI aren't natural enemies, but it's fun to watch them have at each other. Want to know how it shook out? Head over to Road & Track. I'll give you a hint. It's the one with the turbo.